Mise à niveau 3BD Lotissement Downtown, w. Privé Hot Tub! Vous aimerez vous installer confortablement près de la cheminée à bois classique, vous détendre et regarder les grands téléviseurs à écran plat et profiter d'une cuisine ouverte parfaite pour se divertir. Juste à l'extérieur du rez-de-chaussée se trouve un balcon avec un nouveau bain à remous privé, un gril à gaz et une vue imprenable sur le domaine skiable de Breckenridge pendant la journée, des couchers de soleil à couper le souffle au crépuscule et toutes les lumières scintillantes de Main Street la nuit! Vous ne pouvez pas battre ce lotissement pour son emplacement, ses vues, son confort et son prix. C’est votre escapade ultime. Un vrai style de vie Breckenridge vous attend, ne le laissez pas vous échapper! You really do not need a car to ski or get food to eat if you don’t want one if you stay here. We walked everywhere, but I did drop off my skiers at the Gondola and pick them up. Very easy to do from this unit. Beds were comfortable, plenty of supplies and I never had a need to buy more. Hot tub was a lot of fun to sit in with a great view. Property was shoveled and taken care of. I would definitely stay again! Great Location! Loved the proximity to Main Street!! Everything was neat and clean. The view from the back deck was spectacular! Loved being able to sit in the hot tub and admire the mountains;). Didn’t Even use our rental car! Walked and took the bus everywhere. Fabulous Trip!! This property is a great place to stay. The location could not be better. It was just the right size, as was the price. More than anything, it had everything you could want. Including supplies in the kitchen, (spices, oil), plenty of towels, nicely furnished, all the little things were there and it was very comfortable. The only thing we wish were better is that the sheets were pretty rough. I'm not super picky on sheets, but new softer ones would make sleeping a bit better. This was my first time using VRBO and I was very pleased with the experience overall. I booked this place for an annual boys getaway. This was our first time in the mountains and we were impressed. The location was outstanding. Within walking distance to Main St where you can find all that you need. 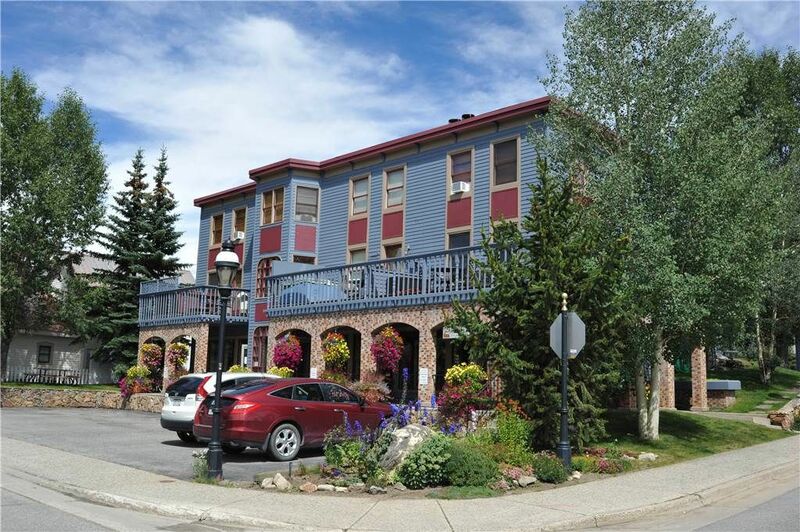 Within walking distance to the gondola. One word of caution, although you can walk to the gondola, Wellington street can be steep and slick. Might be a little challenging to walk in ski boots to the gondola. I was able to do it in my snowboard gear with no problem. The three bedroom town home was perfect for the 3 of us. The bedrooms are kind of small but the living room is nice and open with plenty of space to hang out. Only one of our crew used the hot tub each day and he enjoyed it thoroughly. Speaking of the hot tub, there is a lockbox with a key on the back patio wit the hot tub. This key is there so you don't lock yourself out after spending time in the hot tub. Lesson learned for us was that there is no access to the deck or the spare key except only through the home. I learned the hard way as I was locked out. Fortunately for me the office staff came to my rescue to unlock the front door. I was extremely grateful. The place has all you need. Nice kitchen with all the amenities. I was a little surprised at the size of the bar soap in the bathroom. I am used to smaller bars of soap in my business travels but these bars of soap were half the size of a hotel soap bar. Not a big deal but you might consider bringing your own soap. I can't say enough good things about this trip and our experience. Using this rental simply added another layer to make it a fantastic experience overall. My stay couldn't have been more wonderful. The place was absolutely beautiful and located in a great area and the people who work at BRM are fabulous. I hope to come back again and stay for longer next time. And yes I will be staying at one of your condos. The condo was gorgeous and so spacious for my 6 friends and I. I highly suggest booking this location because you will not be sorry. I already miss it and am wanting to go back.